Today is a special blog hop day! April is Autism Awareness month! 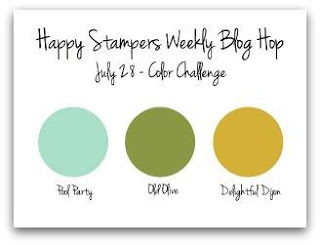 I’m honored to be participating in this blog hop with fellow stampers across the country that have agreed to help support Autism Awareness. 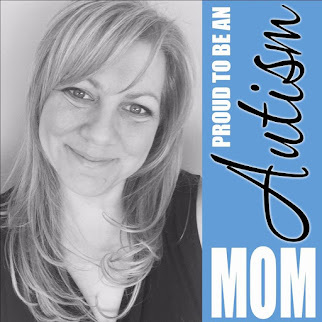 I am also proud to be an Autism Mom! My son, Luke, has Autism and is simply the most amazing boy I know! Each of us will be sharing a fact about Autism with you so as you hop from blog to blog, we hope you enjoy all the projects as well as learn a little about Autism too! I'm so very proud of Luke and all he has accomplished. He amazes me EVERY DAY with something he may say or do for the first time, with what he's learned - today telling me about Van Gogh or what a proper noun is! One day while waiting for the bus, I saw his hand moving up and down and I thought he was stimming, but when listening to what he was actually saying and watching more closely...he was signing the entire alphabet while phonetically sounding out each letter by name. It was just one of those magical moments I get to experience often. Luke is amazing! His smile is beautiful. His laugh, contagious. His touch, gentle. His heart, golden. My son can melt you within seconds with just a look, a laugh, a hug or the softness of his voice. He is affectionate and polite. And that's not even mentioning how brilliant he is!! Academically he rocks!!! We are working hard on his socialization. From the beginning...Luke had a 50-50 chance after birth....his digestive system was severely malformed (the large intestine a round mass instead of tube-like and was not connected to the small intestine) and the small intestines were twisted. He's resilient and brave. From the start he showed the world just how strong he is! He couldn't speak, but that didn't mean he couldn't hear. He was always listening! Going into Keller School at 3 years old, he was non-verbal, couldn't write, had very poor trunk and overall strength, and had severe motor planning issues. Today, at 7, Luke now reads aloud, sings, runs, dances, and plays on the playground. He is determined and knows what he wants. He CAN do it! And thank all of you for taking a moment to learn about my little love Luke, and for all your support. 5- Heather Wright Porto --- You are here! It's that time of the week - Saturday! And that means we have a new Technique Challenge inside Stamping And Blogging. Create your very own stencil using framelits (dies) and the Big Shot! I'm a featuring the Falling Flowers stamp set and the May Flowers Framelits by Stampin' Up! So you start with Whisper White, the focal panel and stamp various leaves in Basic Black. First create your own stencil using the Leaf framelit from May Flower Framelits collection. Then place on the focal panel and color using Cucumber Crush, and then add Bermuda Bay. Color with Daubers! Then do another leaf in Daffodil Delight, Cucumber Crush, and splash of Bermuda Bay. Then flip over the stencil and do the 2 leaves on the right, same coloring as before (again using Dauber). Stamp some Pumpkin Pie flowers and some Daffodil Delight flowers. Stamp greeting in Bermuda Bay. Stamp the flower image (in Bermuda Bay) on a die cut image from the larger floral framelit (from May Flowers Framelits collection). Mat the focal panel on the card base (which is Bermuda Bay) using SNAIL adhesive. 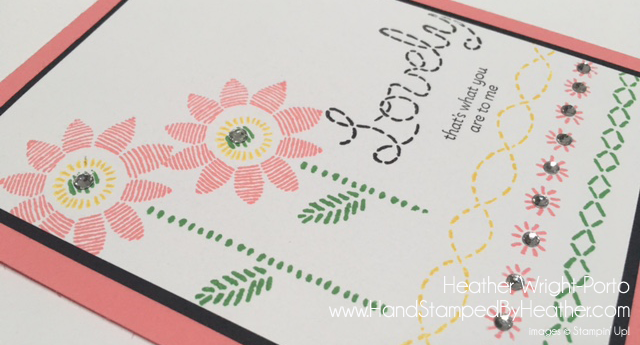 Adhere to flower using Stampin' Dimensionals. Add rhinestones to the center of the flowers if you like Bling (I do!). Sandi created a card as well showing off this Stencil Technique!!! Visit her card here! 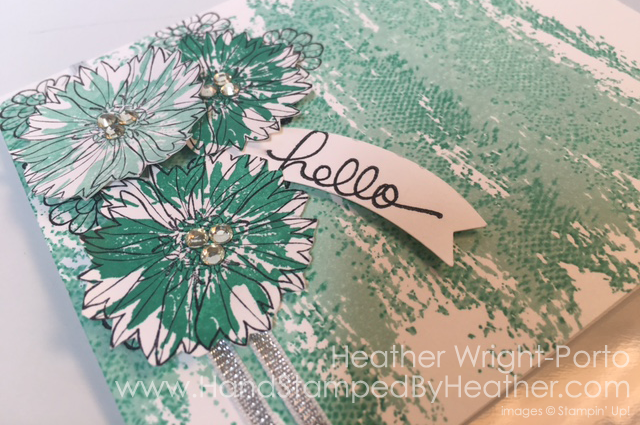 And if you want more techniques....then join us at Stamping And Blogging!!! There are more than 75 for you to learn!!!! 75+ Stamping Techniques for you to learn! Not to mention 200+ One Sheet Wonders you can print and build your own reference library or use as handouts at your in-home class events! And we are now loading Technique Sheets!!!! It's that time of the week - Saturday! And that means we have a new Technique Challenge inside Stamping And Blogging. It is the Blender Pen Technique! I'm a featuring the Falling Flowers stamp set by Stampin' Up! I then colored them with Cucumber Crush and Bermuda Bay. Then stamped the small flower in Daffodil Delight. Stamped the greeting in Basic Black. Then used the leaf framelit around the edges to create a funky border. Trim to about 3-3/4 x 5 inches. Mat on Cucumber Crush, the same same. Mat that then on Basic Black. Adhere that to the card base, Bermuda Bay. Now for the flowers, stamp on scrap Whisper White. Color with Daffodil Delight, then add Pumpkin Pie, then finish with Calyspo Coral. Adhere to focal panel using Stampin' Dimensionals. 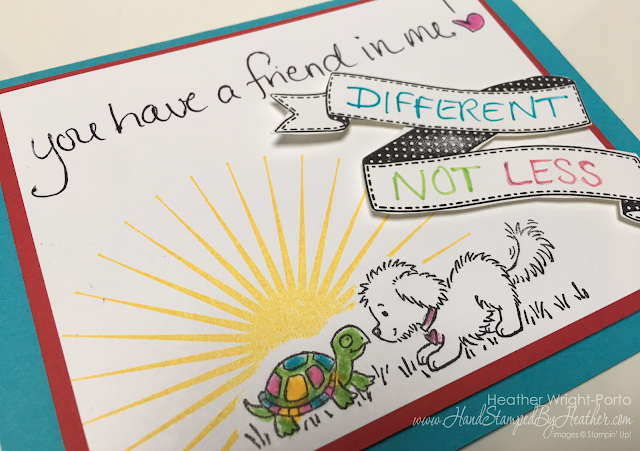 Sandi created a card as well showing off the Blend Pen Technique!!! Visit her card here! FREE VIDEO and One Sheet Wonder!!! And if you want more techniques....then join us at Stamping And Blogging!!! There are more than 75 for you to learn!!!! It's that time of the week - Saturday! And that means we have a new Technique Challenge inside Stamping And Blogging. It is the Watercolor Lifting Technique! 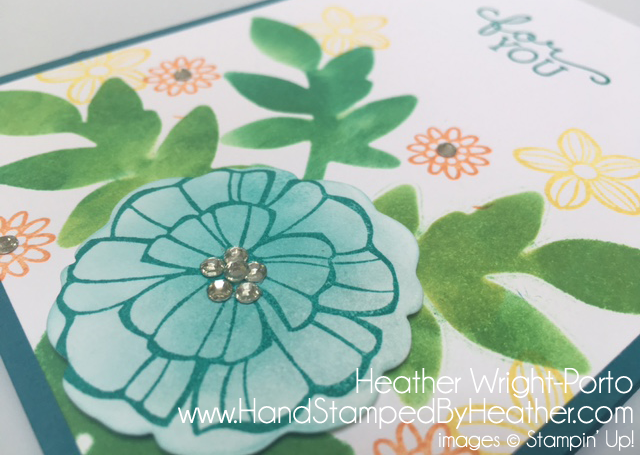 I'm a featuring the Birthday Blooms stamp set from Stampin' Up! with a few new In Colors too! It's a multi-layered card and also features the Spotlight Technique too!!!! The focal flower is colored in Daffodil Delight, Peekaboo Peach, Flirty Flamingo and Calypso Coral. The background of the card is where I used the Watercolor Lifting technique. 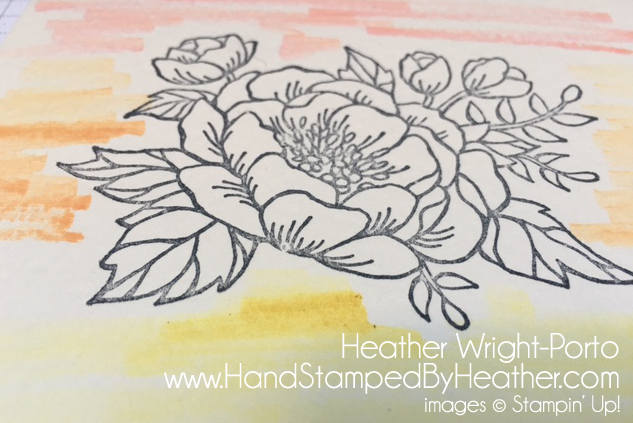 Stamp the floral image on Watercolor paper using StazOn ink. Using the Blender Pen and inks (Daffodil Delight, Peekaboo Peach, Flirty Flamingo) brush strokes onto the Watercolor paper. Quickly then use an Aqua Painter to start spreading the lines so they start to fade and bleed. I then watercolored the part of the image. Added Dazzling Details to the center. Wrap ribbon around the focal panel. Card Base is Basic Black. Vertical piece of Playful Palette on the left side. Vertical square like piece of Peekaboo Peach that was embossed with Mosiac Textured Impressions Folder. Adhere the focal watercolored panel with Stampin' Dimensionals. Stamp a greeting and then punch with Flower Punch. Hop on over to Sandi's site to check out her Watercolor Lifting Technique card. 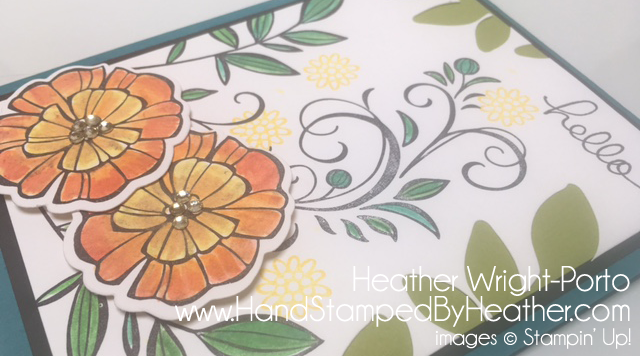 She is featuring the Thoughtful Branches EXCLUSIVE stamp set (AUG 2016) from Stampin' Up! 75 Stamping Techniques for you to learn! AND we are launching Technique Sheets!!!! Sandi's card is the first, Watercolor Lifting Technique! It's that time of the week - Saturday! And that means we have a new Technique Challenge inside Stamping And Blogging. It is the Kissing Technique! 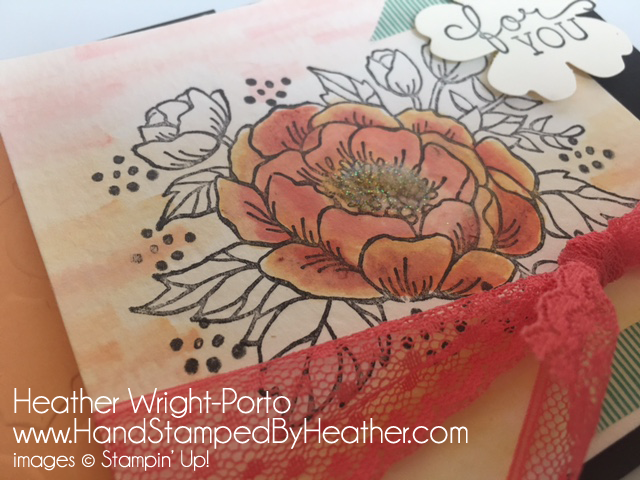 I'm a featuring the Touch of Textures and Watercolor Wash stamp sets from Stampin' Up! with Pool Party and Emerald Envy ink! It's a one layered card, but had some texture and depth! It could have been done in less than 10 minutes BUT the fussy cutting of the flowers takes some time LOL. So you start with Whisper White card base and front. Ink the Watercolor Wash background stamp with Pool Party. Ink the textured longer stamp from Touch of Textures with Emerald Envy. And then literally stamp (kiss) on the Watercolor Wash stamp. Then repeat as many times as you want. I did about 5 times to cover the Watercolor Wash stamp. Then stamp on the card base. You just did the Kissing Technique!!!! 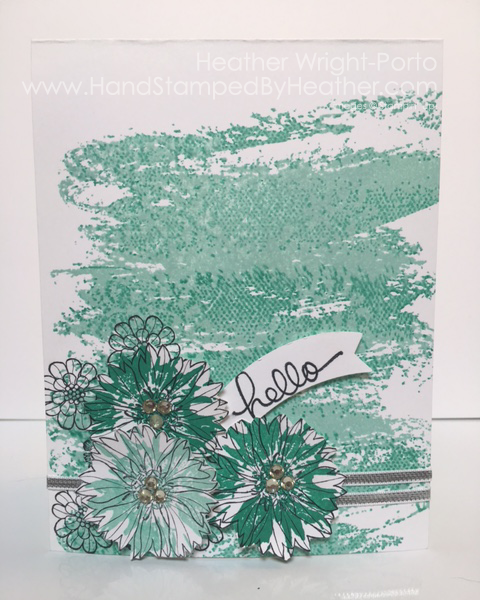 Next I stamped some flowers in Pool Party and Emerald Envy on scrap and did the outline in Basic Black (two step stamping). I also stamped some smaller flowers on the card base in black, outline stamps, not colored. Then wrapped some ribbon around the card. 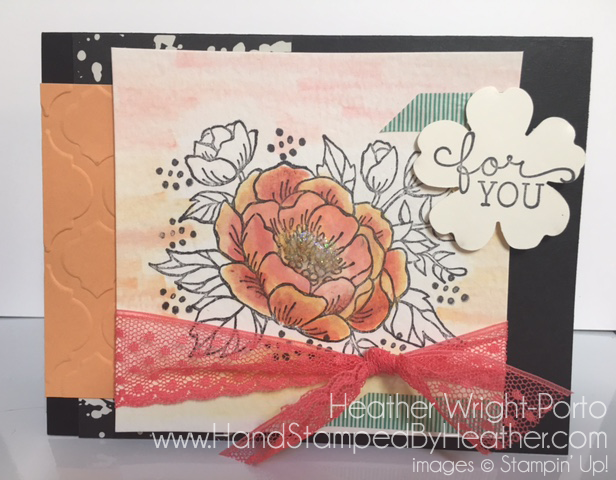 Next adhere the flowers with Stampin' Dimensionals. Add rhinestones if you'd like. Stamp the greeting on scrap and punch with the Banners punch. Sandi created a card as well showing off the Kissing Technique!!! 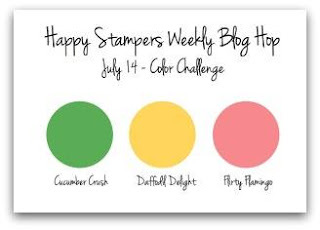 Visit her blog here: http://StampinWithSandi.com. 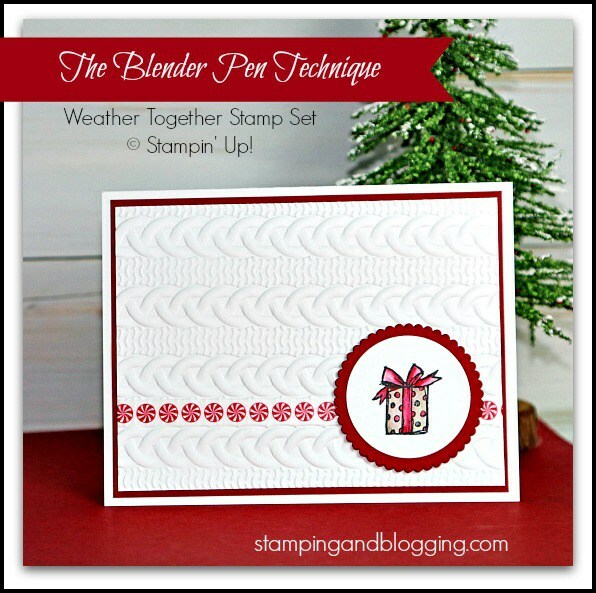 And if you want more techniques....then join us at Stamping And Blogging!!! There are more than 70 for you to learn!!!! Good morning stampers! This month's technique is called Masking. Wait until you see the Totally Techniques Design Team in action this week!!!! 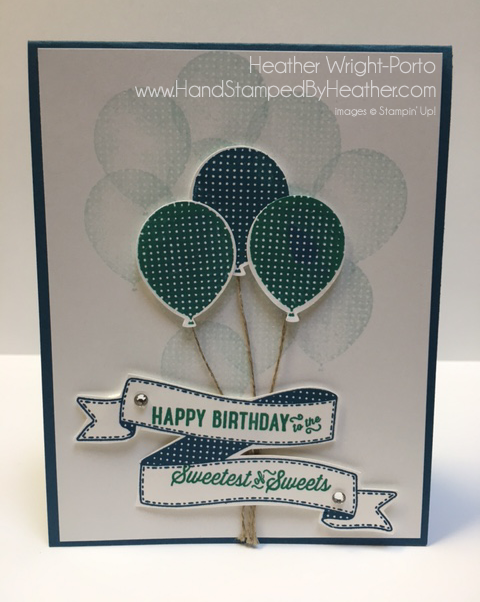 My card this week features the Balloon Builders stamp set by Stampin' Up! It's the Masking Technique and one that you can do rather quickly as it's a one layer card! Covering previously stamped images, and then stamping over them/near them/around them so they appear in front and the newly stamped image(s) to the back. Notice the multiple layers of balloons in my card. Vertical, top fold card, base in Whisper White. Stamp the first few balloons in Flirty Flamingo. Then stamp a few of the same size balloons on scrap and punch them out (with Balloon punch). Then use those punched out balloons to cover the balloons you just stamped. 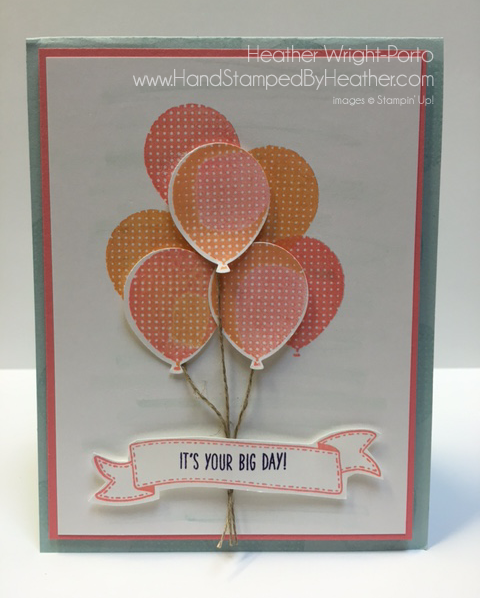 Then stamp more balloons in Tip Top Taupe with the larger balloon stamp in Balloon Builders. 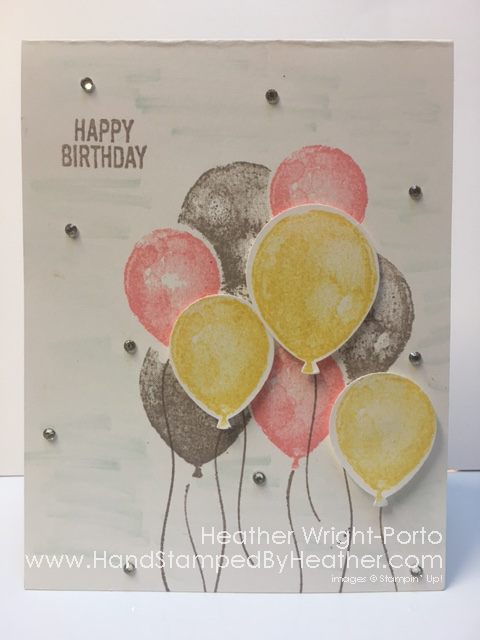 Stamp the balloon strings in Tip Top Taupe. 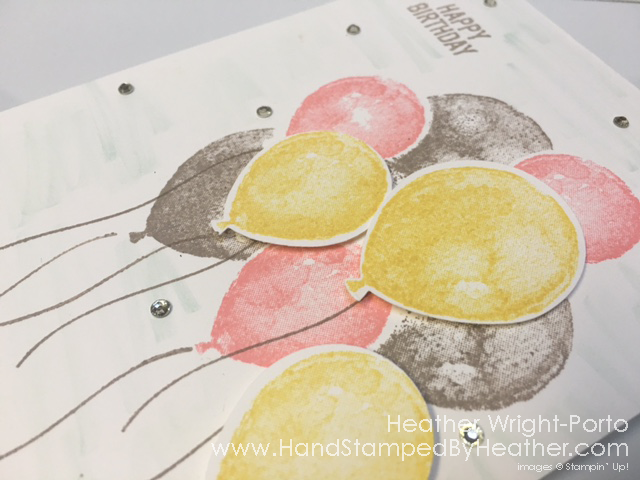 Then stamp a few more balloons in different sizes on scrap using Daffodil Delight ink, and then punch them out. 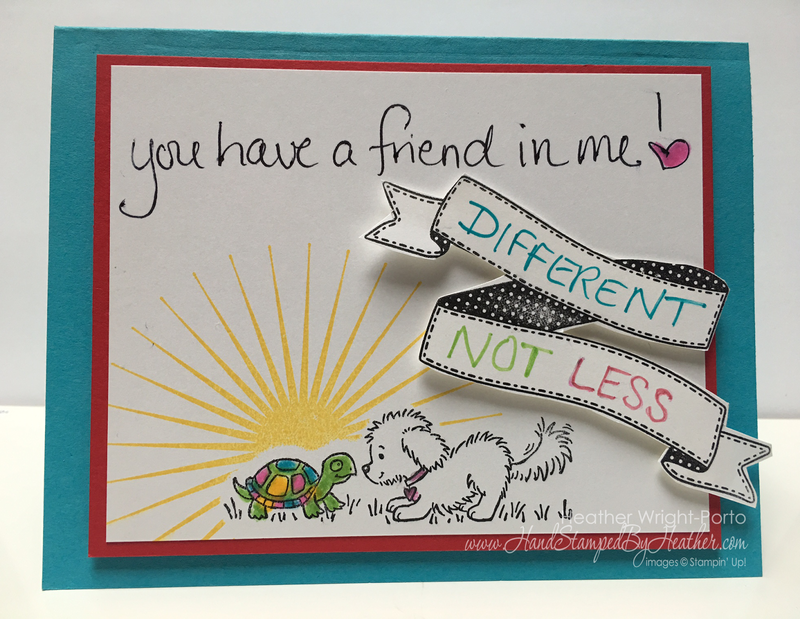 Adhere to card base with Stampin' Dimensionals. 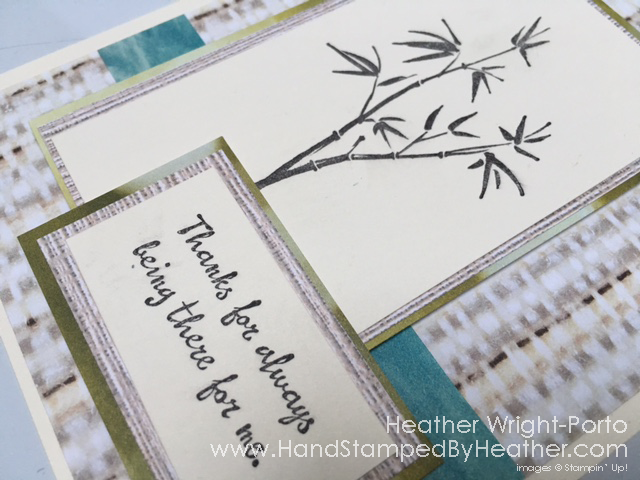 Stamp greeting in Tip Top Taupe. Using a Blender Pen (or you can use an Aqua Painter), color the background of the card in Soft Sky ink. Add some bling with Rhinestone Basic Jewels. Scroll down to see Supply List! Heather Wright-Porto --- You are here...Thanks for visiting!!! The next blog on this totally awesome, Totally Techniques designer is Shannean Moncrieff! 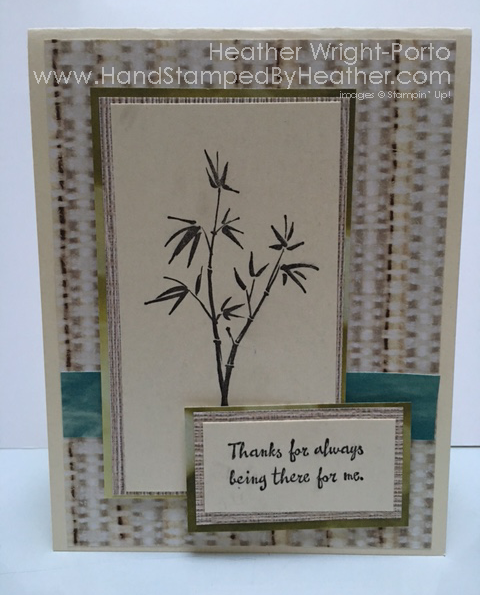 Artistically Asian By Stampin' Up! I'm featuring the Artistically Asian stamp set and the beautiful Serene Scenery designer paper by Stampin' Up! And you can create this is 10 minutes or less!!! Adhere piece of DSP to the card base (5-1/4 x 4). Stamp the Artistically Asian image in Basic Black on the Very Vanilla scrap and the mat it in a natural wood DSP paper and then mat again with the Old Olive green bubbles DSP. Do the same with a greeting. Cut a piece of the Pool Party water-like DSP (4 x 1) and adhere using SNAIL towards the bottom 1/3 of the card. Then adhere your focal panel and greeting using Stampin' Dimensionals. It's that time of the week - Saturday! And that means we have a new Technique Challenge inside Stamping And Blogging. It is the Rock And RollTechnique! 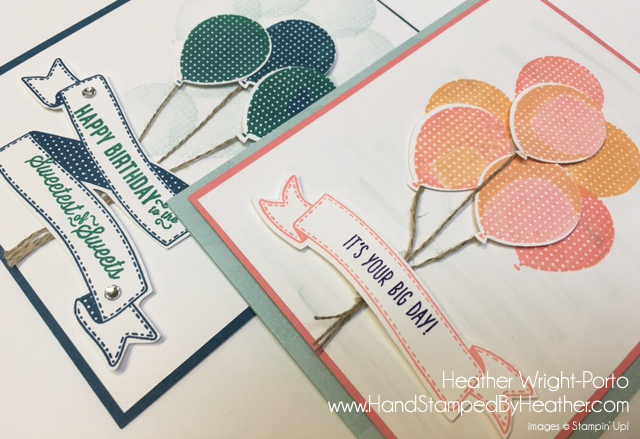 I'm a featuring the Birthday Banners stamp set by Stampin' Up! and a bunch of new In Colors! 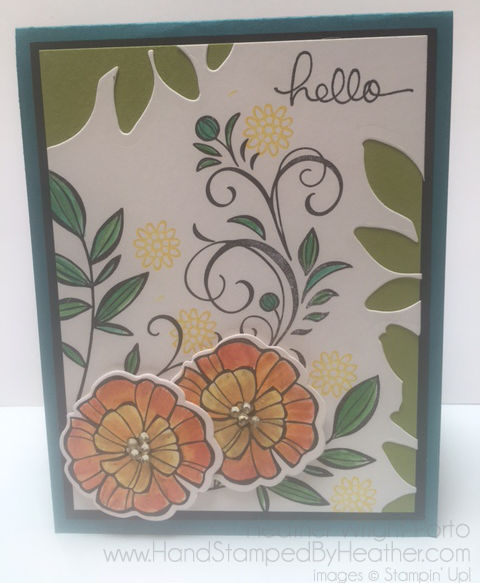 Sandi created the beautiful card you see featured in the FREE video this week (above) using the Fresh Fruit stamp set! Click here to go see it or visit her blog here: http://StampinWithSandi.com. OSW and Video inside Stamping and Blogging for those that are members. However HERE is the FREE video for July! Enjoy 40+ Card Classes and 70+ Stamping Techniques for you to learn!